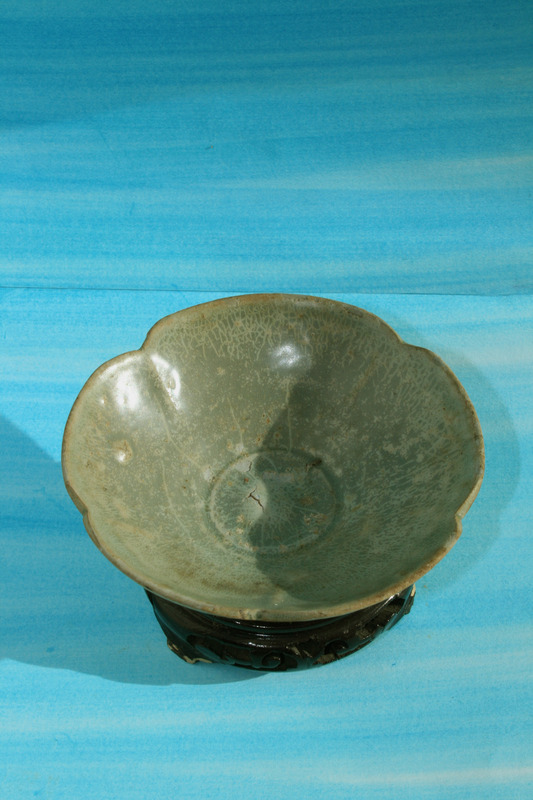 Yue type bowl, Tang to Five Dynasties period. Sometimes you buy a piece in a split second, on a gut feeling. 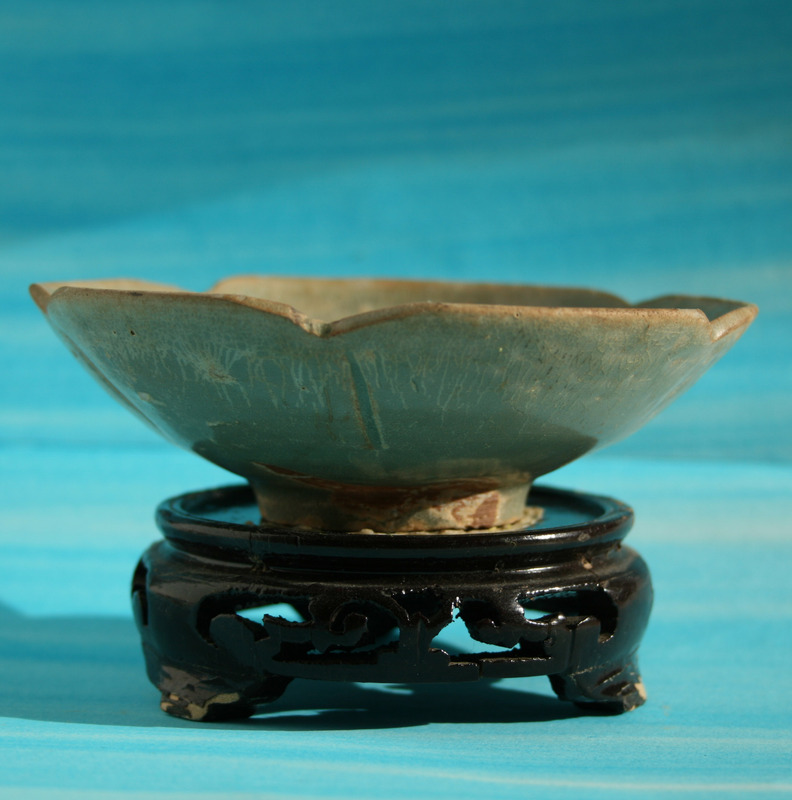 This bowl appeared on an auction site, and I bought it right away for a bargain price. Based on the markings on the footrim I guessed it was a Yue piece. To be honest I was a little disappointed when it arrived, I thought the glaze is quite worn. 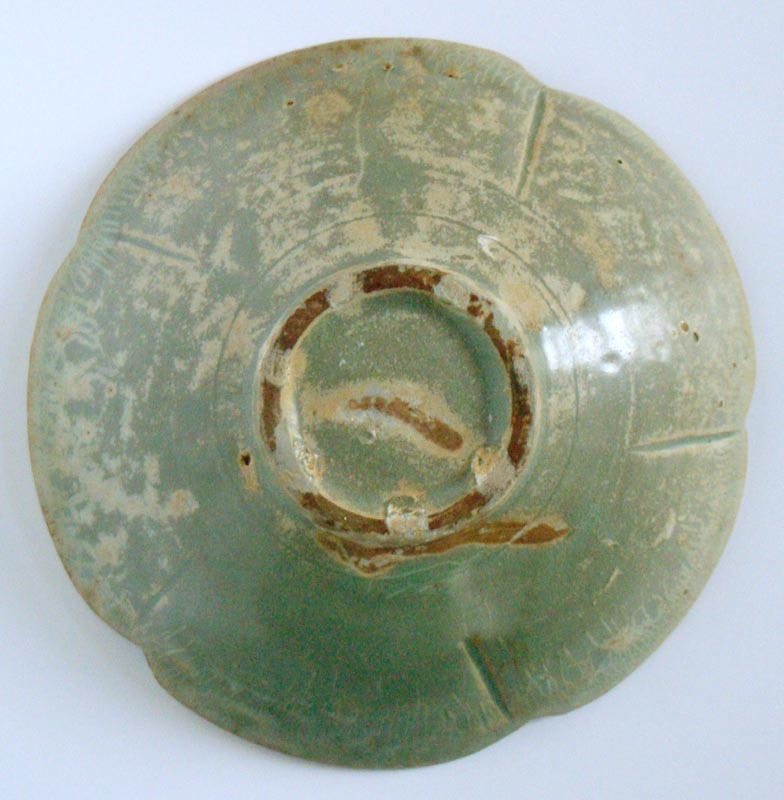 I had a hunch it was an early piece of the Yue kilns, and I posted it on the Gotheborg board. My dear fellow collectors immediately pointed me in the direction of Yue, and of the period being Tang to five dynasties. They told me to look again to the piece, and appreciate it for what it really is, a 1000 year old piece, that is not cracked. I’m slightly embarrassed that I, as a collector, did not recognize the beauty of this piece immediately. 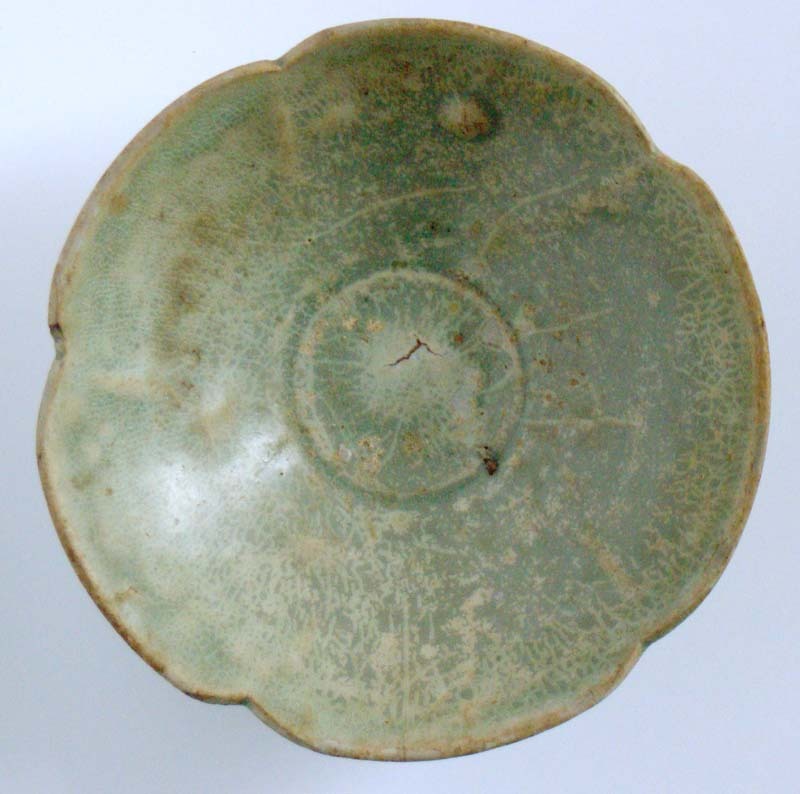 Thank you again, especially for pointing me to the following information; Yue ware flower shaped bowl, five dynasties,Jixi Xia Jian Kiln . 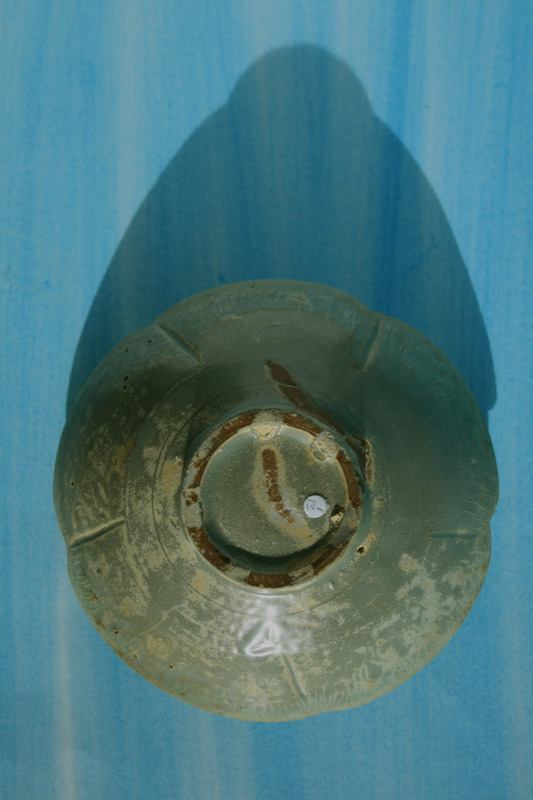 The bowl is 12 cm across, and has a high ping when tapped. Red/brown clay, footrim wiped clean, and has markings from 6 clay parcels. Used to fire it in the kiln, without sticking to the bottom. 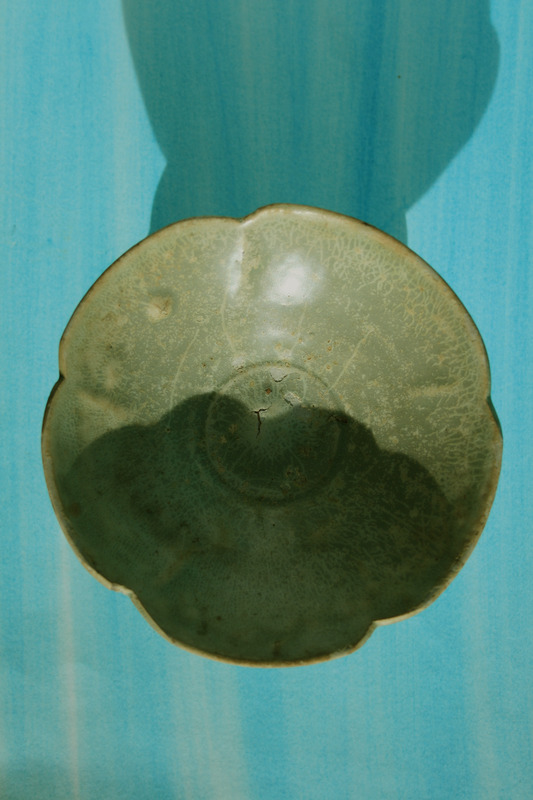 This beautiful bowl lives on, in my home, and here, to share the beauty and knowledge. 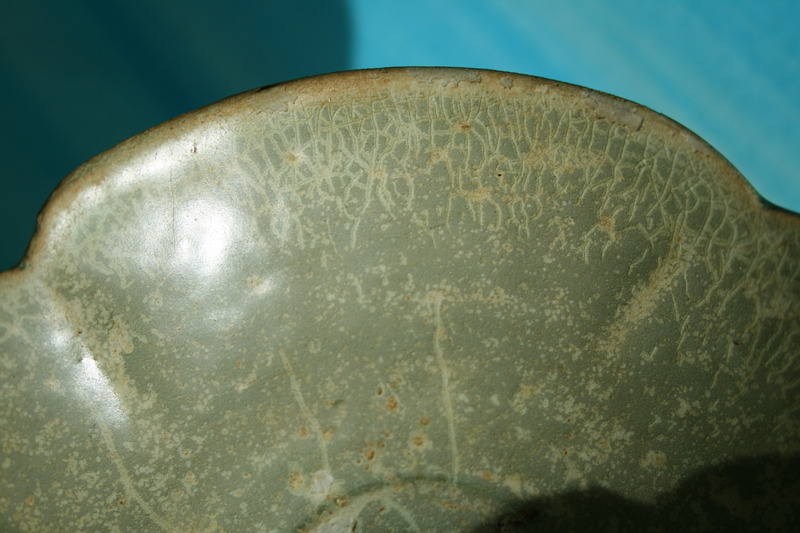 I did not notice this bowl before , very fine , I like this kind of indented flower bowl . Your collection is increasing in a very matured way , congratulations , hope to meet you one day.